Beltone Financial Holding on Sunday posted it has turned to loss in the full-year ended 31 December 2018 as compared with 2017. The company suffered losses of EGP 82.41 million in 2018, versus a profit of EGP 3.2 million in the same period of 2017, according to a filing to the Egyptian Exchange (EGX). Revenues jumped to EGP 706.96 million in the 12-month period ended last December, from EGP 696.73 million in 2017. At the level of standalone business, the company’s losses rose to EGP 210.36 million last year, versus losses of EGP 12 million in 2017. 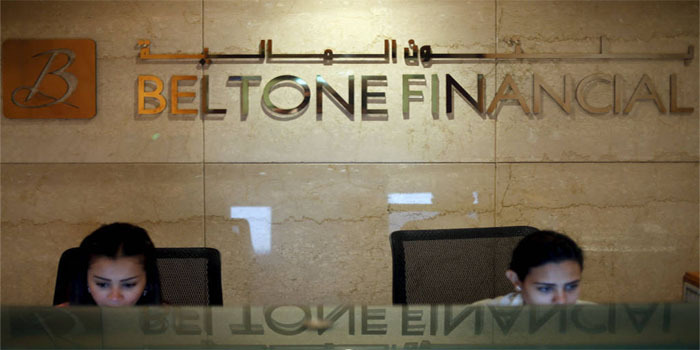 In November, Beltone Financial reported its losses hiked by 420% year-on-year for the first nine months of 2018 to EGP 25.29 million, versus EGP 4.8 million. Revenues increased to EGP 500.7 million in the nine-month period ended September, versus EGP 471.9 million in the same period of 2017. The investment bank has also posted standalone losses of EGP 23.08 million in the nine-month period of 2018, versus losses of EGP 8.2 million in the corresponding period of 2017.